Richard speaks to Paul Green, owner of MSP Marketing Edge, about why MSPs need to focus on marketing themselves to build better relationships with their clients. Paul is the owner of MSP Marketing Edge, a Milton Keynes-based business aimed at helping IT solution providers and managed service providers with their marketing efforts. While resitting an A level he got a job selling newspaper advertising before moving into journalism. From there he started working at a local radio station, going from newsreader to presenter and finally the programme controller. After 10 years of running radio stations, he felt it was time for a change. Deciding to run his own business, he had a PR company for five years but found he wasn’t enjoying it. When his daughter was born prematurely he took time out and was surprised that the business ran itself. This encouraged him to sell it in 2016. When he left his last business, he couldn’t work with the same sorts of clients. He came across IT support and started learning more about the topic. Although he doesn’t have a tech background, Paul says that he loves talking about computers and technical solutions and soon saw gaps in the market. This includes guides and ghostwritten books. They offer support with press releases, videos, emails, Facebook posts, LinkedIn, and more. They create a huge amount of content for a small number of clients and helps them lock out the competition in their area. Paul says MSPs don’t market themselves because they don’t need to be good at marketing. MSPs often keep clients for 10 years and have long sales cycles. It’s also quite hard for customers to leave their current support company. MSPs can keep clients forever, but marketing is hard in the IT support marketplace. Vets, who Paul used to work with, can find new customers much more quickly, but also have a high turnover. Changing MSP is a huge commitment because it means handing your server and data to someone new and the potential risks are massive. MSPs have high retention rates, which is known as inertia loyalty. It’s easy for both the customer and the MSP to stick with each other. MSPs often overlook their existing clients in their quest to find new customers. Paul says people buy for one of two reasons: because they need something which is a decision made by the brain, or because they want something which is a decision made by the heart. 99.9% of people buying from an MSP, is actually a heart decision; a want decision. The reason customers will pick one MSP over another is that they like them, not because of the knowledge they have. When it comes to existing clients, they’ll buy more from you because they want it. Paul recommends to all the MSPs he works with to carry out strategic reviews every year; where they sit down with the client. The goal is not to look at the tech but to talk about the future of their business. Find out what they want to do and the problems they’ve got, and look at how you can help them. Most MSPs will find that every time they have these conversations with an existing client an opportunity comes up. It isn’t selling, it’s making someone happy. The more stuff you sell them, that they choose to buy from you, the longer they’ll stay. Paul says people place a higher value on a book than anything else. He adds: “There’s nothing beats a book for branding you as an expert, because the perceptions are that publishing a book is difficult, can’t be an author unless you’re the best and it’s expensive to write a book. Simply offering content in a PDF has no value, because everyone has hundreds of them on their desktop, but deciding to go the extra step and creating a print version is the best business card you could have. It helps you stand out from other MSPs. 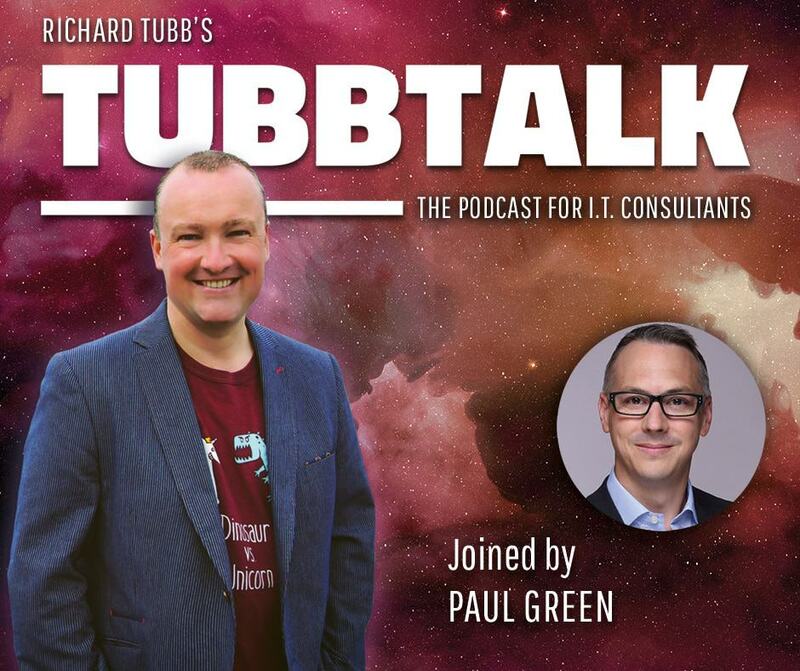 Download the transcript of "Why MSPs Need to Embrace Marketing - TubbTalk #39". Success! Now check your email to confirm your details. I provide expert advice to help you grow your IT business. I have helped the owners of hundreds of Managed Service Providers (MSPs) to free up their time, concentrate on doing what is important and making more money.